The chairperson and CEO of VEON. Xerox CEO (2009-2016) and chairman (2010-2017). The first black-American woman CEO to head a Fortune 500 company. The first woman to succeed as the head of a Fortune 500 company. The 22nd most powerful woman in the world (according to Forbes, 2014). A non-executive director of the beverage company Diageo since April 2018 and a senior adviser to Teneo. We are talking about the one and only Ursula Burns. How did she manage to succeed in this business and what did she overcome? Get all these details from this inspiring story. 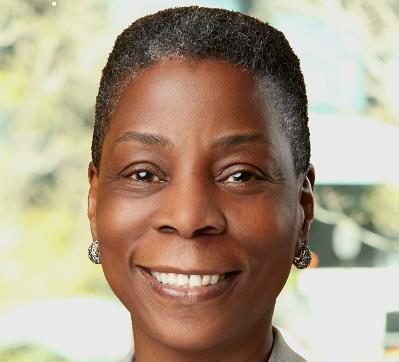 Ursula Burns was raised by a single mother in the Baruch Houses, a New York City housing project. This district wasn’t the most promising in NYC and the neighborhood wasn’t seemed to be positive. Therefore, her mother was forced to run a daycare center out of her home and ironed shirts to pay for Ursula’s education in Catholic school, in New York University Polytechnic School of Engineering, where she got a Bachelor of Science degree, and in Mechanical Engineering from Columbia University, where she became a master of science. Nevertheless, being raised in the Lower East Side, which wasn’t considered to be a luxury district for wealthy people in the 60s, Ursula was managed to get a substantial education and develop her best personal skills. The best way to change it is to do it. Right? And then after a while, you become it, and it’s easy. In 1980, Ursula came to Xerox to complete her summer internship. After completing her master’s degree in 1981, she joined it permanently. She worked in a range of roles in product development and planning in the remainder of the 1980s throughout her 20s. Besides her success in Xerox, we can’t ignore the fact that she was a Vice-Chairman of the Executive Committee of the business organization The Business Council and was a part of many professional and community boards, including Exxon Mobil Corporation, American Express, Boston Scientific, FIRST, National Association of Manufacturers. Starting from the bottom, Ursula Burn is now a successful woman, as well as a good wife and happy mother of a beautiful young lady and a promising gentleman.